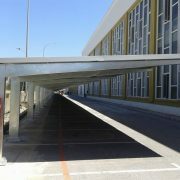 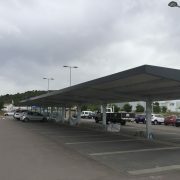 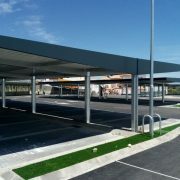 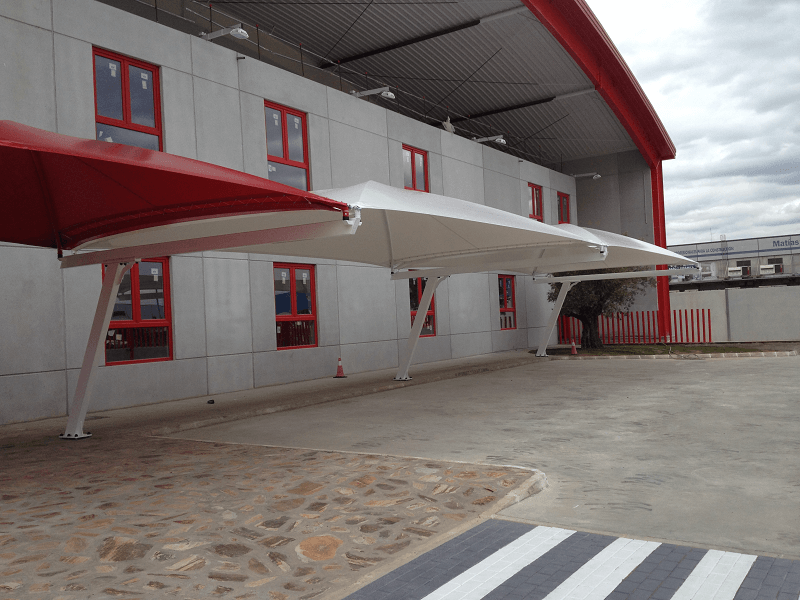 We realized the instalation of parking canopies with textile cover in Sevilla. 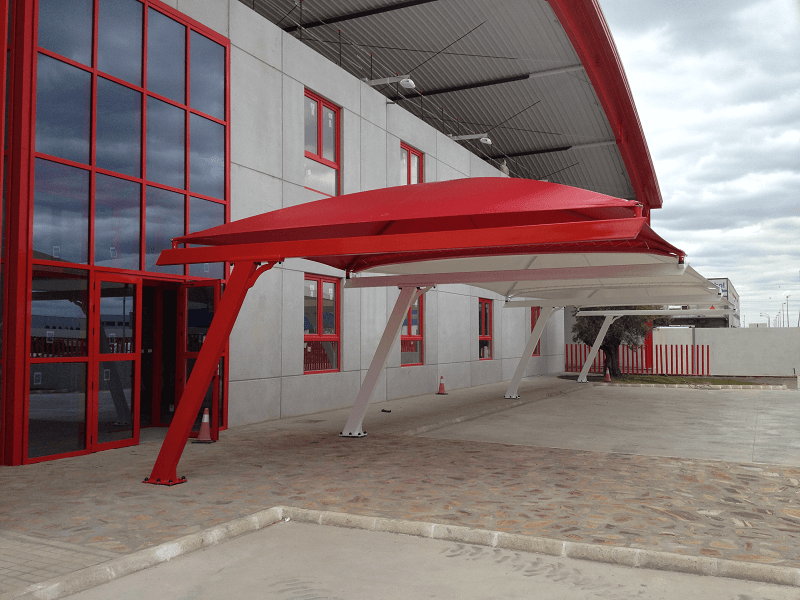 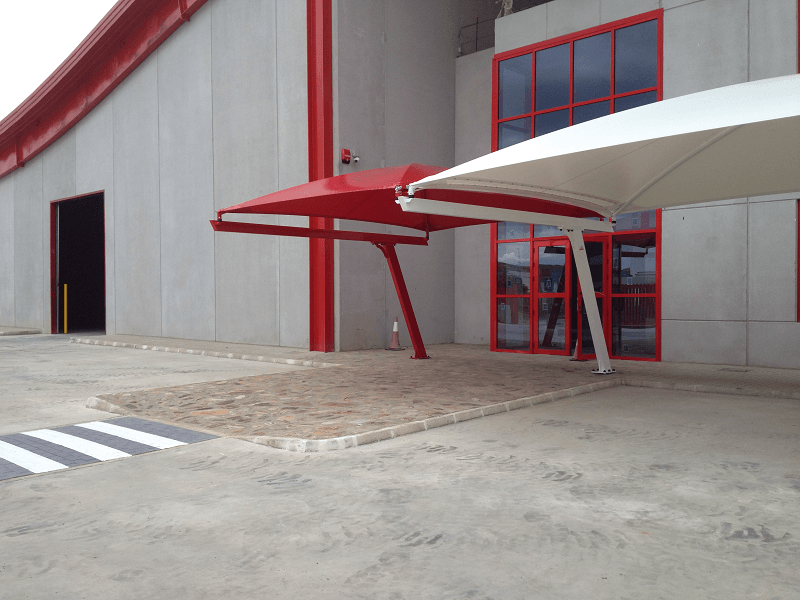 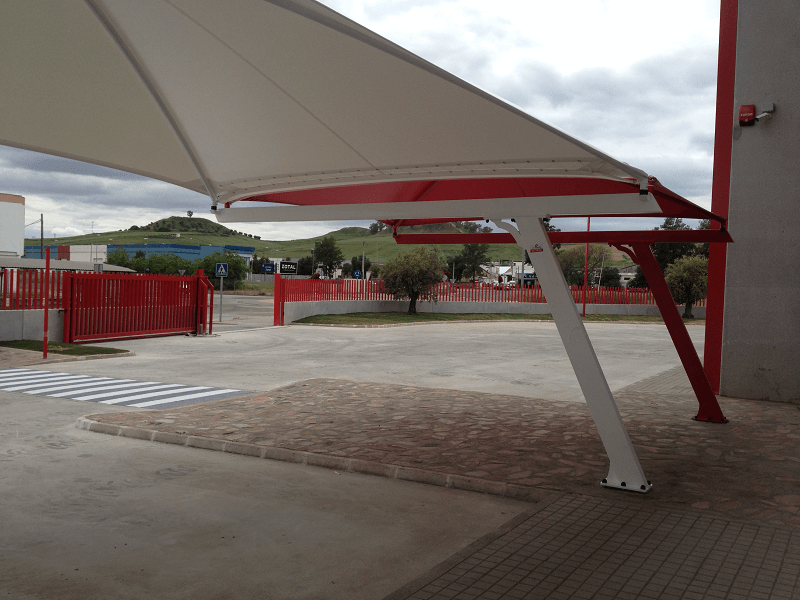 The assembly of the parking canopies with textile cover was realized in a group of simple places with our new model Europa Textil with rectangular tubular cover supports, made in the different colors chosen with the client and cantilevers lacquered in red and white. 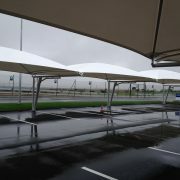 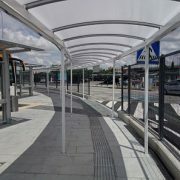 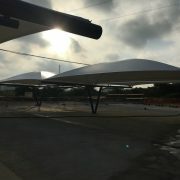 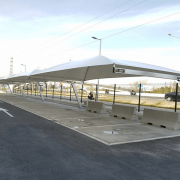 Characteristics of parking canopies with textile cover.